Against the backdrop of a charged national debate on education reform, best-selling author, education historian, and sought-after speaker Diane Ravitch '60 will inaugurate a new lecture series in her name at Wellesley. 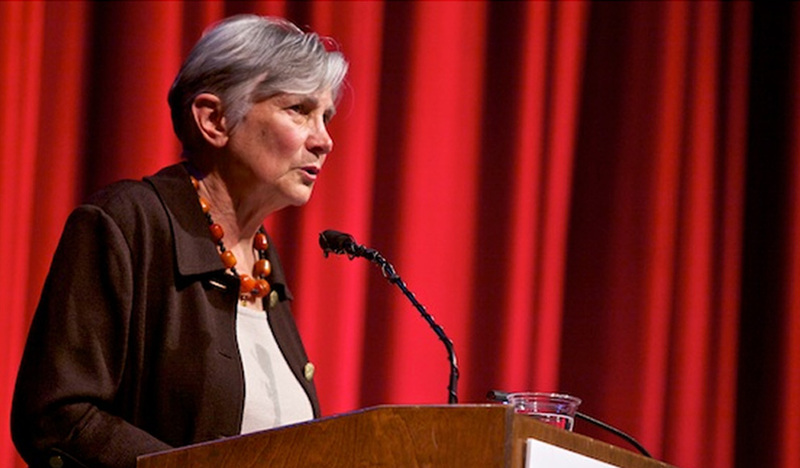 The Diane Silvers Ravitch '60 Lecture Series will bring speakers to campus to discuss the most pressing issues in public education. Ravitch’s inaugural speech, "How to Ruin or Revive Public Education," will take place tonight in the Diana Chapman Walsh Alumnae Hall Auditorium at 7:30 pm. "My hope for this series is that the brilliant young women of Wellesley will join the battle to prevent the privatization of public education and will understand the importance of transforming education so that every child has an equitable, liberating, inspiring education," Ravitch said. This evening, Ravitch will discuss the negative effects that testing and privatization are having on children, teachers, schools, and communities—and the threat, she argues, that such moves pose to public education as a common good. "What is currently called ‘the education reform movement,' has no interest in reform," she said. "As a movement, it is indifferent to segregation and poverty; it does not oppose budget cuts; its policies are causing a national teacher shortage." Ravitch's views have come to define one side of a polarizing national debate. Barbara Beatty, professor of education and chair of the education department, called Ravitch "a role model…who has spent her career in education, as a scholar, a public servant, a policy analyst, an author, a blogger, a public speaker, a public intellectual, and someone who says what she thinks with courage and confidence." Beatty said Ravitch will help students confront "the tensions in education that we all need to think about." Ravitch's journey to becoming one of the foremost advocates for public schools in the nation has been marked by distinguished milestones, including serving as assistant secretary of education under President George H.W. Bush from 1991-93; and serving on the National Assessment Governing Board, appointed by President Bill Clinton, from 1997 to 2004. Her path to educational advocate can be traced back to her days at Wellesley and, in fact, to her very first college paper. "The first paper I ever wrote at Wellesley foreshadowed my career," she said, "although I didn't realize it for many years." Ravitch, a Texas native, wrote the paper for a political science class on “the rancorous school board political battles in Houston." Ravitch's books include the New York Times bestsellers The Death and Life of the Great American School System: How Testing and Choice Are Undermining Education and Reign of Error: The Hoax of the Privatization Movement. She writes a popular blog that boasts more than 23 million page reviews. She's been a three-time guest on The Daily Show, has been featured on PBS, NPR and MSNBC, and in countless print publications. Ravitch is currently Research Professor of Education at New York University.